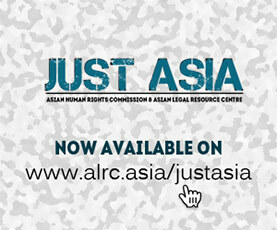 The Asian Human Rights Commission (AHRC) has received information from the Peace and Integrity of Creation (JPIC) regarding a customary land dispute between Bintuni Agro Prima Perkasa Company and the Mpur Tribe in Tambrauw Regency, West Papua province. The company did not inform or seek consent of the local tribe regarding its project on their customary land, and the tribe now fears the negative impact to their environment and livelihood. In 2014, the Minister for Forestry and Environmental Affairs issued a decree for the release of production forest concessions in the Papuan interior to 13 Palm Oil Plantation companies. One of the companies is Bintuni Agro Prima Perkasa Company (PT. Bintuni Agro Prima Perkasa – PT. BAPP), a subsidiary of the Salim Group, with a concession area of 19.369 ha located on customary land of the Mpur Tribe in Tambrauw Regency. Before PT. BAPP started its operations in August 2015, the company did not inform the customary land rights holders and affected indigenous communities about the project, its environmental impact and the social benefits for these communities. Under Indonesian and international law, companies are required to reach an agreement with the customary landowners and inform affected communities about the project plans and its environmental impact. However, PT BAPP did not enter into dialogue with the Mpur communities and inform them regarding the type of plantation, the environmental impact of the project and social benefits for their communities. Instead, PT. BAPP only approached the Ariks clan, one of the indigenous clans holding the customary ownership rights and convinced the head of the clan to sign an agreement for the release of customary land. In return, the company handed over 100 million Rupiahs (approximately 6.025 Euros) as a ‘reward’ to the Ariks clan. Other Mpur clans holding land ownership rights were only informed after the plantation activities had already been launched for over two months. The Mpur communities protested against PT. BAPP plantation in the Kebar area, because the company did not follow legal procedures and disrespected indigenous land rights holders, community leaders and customary institutions in the Kebar District. In 2017, the plantation activities of PT BAPP caused resistance by various clans holding customary land ownership rights in the concession area – namely the clans Wasabiti, Amawi and Ariks – because they were not informed about the establishment of the plantation on their land. The company only approached a small part of the affected Mpur communities. On 28 October 2017, the Justice, Peace and Integrity of Creation Desk (JPIC) of the Christian Evangelical Church in Papua (GKI-TP) together with the executive board of the GKI-TP Kebar Presbytery held a meeting with the community members and customary rights holders of the Mpur Tribe. In the meeting, the Mpur community members stated that all clans inhabiting the Kebar Valley – namely the clans Wasabiti, Amawi, Wanimeri, Arumi, Kebar, Ariks and Inam – had decided to collectively reject PT BAPP and its plantation activities in Tambrauw Regency. The clans feared that the plantation would lead to the destruction of local staple food sources and forest areas which had been used by communities as a source of livelihood. Apart from that, the plantation activities had resulted in the displacement of several community members. The Mpur also asked the GKI-TP to discuss the rejection of the company with the Regent of Tambrauw Regency. On 31 October 2017, the board of GKI-TP Kebar presbytery and the JPIC desk shared the Mpur Tribe’s concerns with the Regent, Mr. Gabriel Asem. According to the regent, PT BAPP had decided to build a corn plantation because the initial proposal for the establishment of a palm oil plantation was rejected by the local government of Tambrauw Regency. The regent approved the project until 2017 with the consideration that the plantation would create job opportunities and bring welfare for the local communities. On 17 November 2017, the Mpur tribe organized a customary consultation meeting, bringing together 105 participants, consisting of heads of clans and sub-clans as well as community members. The outcome of the meeting was a statement on the rejection of PT Bapp and its corn plantation. The statement was signed by 44 indigenous leaders of the clans Wasabiti, Amawi, Wanimeri, Arumi Kebar and Ariks residing in the Kebar Valley. Please write to the authorities listed below. Ask them to ensure that the Bintuni Agro Prima Perkasa Company (PT. Bintuni Agro Prima Perkasa – PT. BAPP) holds a dialogue with the customary land rights holders, the Mpur Tribe in Tambrauw Regency, West Papua province. The government should protect and respect the customary land rights holders and settle the problem fairly and transparently without undue delay. The National Commission on Human Rights and the Agency for Victims and Witness Protection must monitor the case and ensure that the Company obeys human rights standards and principles. The AHRC will write a separate letter to the UN Working Group on the issue of human rights and transnational corporations and other business enterprises calling for his intervention in this matter. I am writing to voice my deep concern regarding a customary land dispute between Bintuni Agro Prima Perkasa Company and the Mpur Tribe in Tambrauw Regency, West Papua province. The company did not inform or seek consent of the local tribe regarding its project on their customary land, and the tribe now fears the negative impact to their environment and livelihood. Therefore, I respectfully request you to ensure that the Bintuni Agro Prima Perkasa Company (PT. Bintuni Agro Prima Perkasa – PT. BAPP) holds a dialogue with the customary land rights holders, the Mpur Tribe in Tambrauw Regency, West Papua province. The government should protect and respect the customary land rights holders and settle the problem fairly and transparently without undue delay. The National Commission on Human Rights and the Agency for Victims and Witness Protection must monitor the case and ensure that the Company obeys human rights standards and principles.